Sunfather Home Services of Scottsdale, AZ, earns Accredited Member status from the NHWA! Sunfather Home Services of Scottsdale, Arizona, has earned Accredited Member status from the NHWA. John Marks is a home owner in Scottsdale Arizona and former residential home inspector in Laguna Beach, California. He has worked as a builder, inspector, and Realtor, as well as owning numerous investment properties. His first-hand knowledge of all the angles of buying, selling, owning, inspecting and maintaining homes, led him to the Home Watch industry. John worked as a Realtor on Maui for the better part of a decade. This experience, combined with years of working alongside his dad (a builder), allows him the advantage of seeing the home from both an engineering angle and a value-acquisition angle. 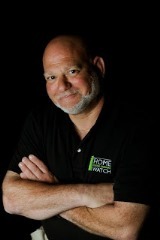 These perspectives served John well as a home inspector and now as Home Watch business owner. John earned a degree in Geology, followed by many years working as an environmental consultant as well. When he’s not looking after and inspecting homes, you’re likely to find John tinkering with various DIY projects; he loves to build and fix things. He spends much of his time as a mentor with the Big Brothers Big Sisters of America program, teaching his little brother skills such as woodworking, cooking, and entrepreneurship. John and his wife, Tricia, balance their professional lives with lots of “staycationing” in Scottsdale with their elderly dog, “The Beast,” and Oliver, the cat. I had the pleasure of meeting John at the NHWA’s Arizona Chapter meeting earlier this month.